The purpose of this document is to update the FuturCinema Systems, Incorporated (the "Company") Business Plan dated December 22, 1986. In addition to reviewing the recent activities of the Company a separate set of financial projections are attached that remove the effect (both cost and revenue) of co-venturing in feature film production. While still important, the Company expects that such co-venture projects would be developed separately, perhaps as Limited Partnerships. Panavision - As noted in the Business Plan, Panavision is the premier supplier of cameras and lenses to the feature film market. Their proposal to the Company dated October 7th, 1986 (attached) has now been consumated. This represents a unique relationship for Panavision and makes a valuable statement for the Company as to Panavision's perception of the potential importance of FuturVision 360 to the motion picture industry. Pursuant to that agreement, Panavision is now working on the first of the interim camera lenses, design of the optical printer elements required of the conversion of films in the IMAX format to FuturVision 360 and completion of their newly designed 65mm camera. Conoco - Arrangements have been made for the first test transfers of motion picture films in the IMAX format to FuturVision 360. Conoco, sponsor of two successful films in this format, is making their films available for this conversion in order to significantly expand the audience potential from less than 60 IMAX theaters worldwide to a planned 300 FuturVision 360 theaters that will include not only special venue environments such theme parks and science centers but FuturVision feature film "Showcase" theaters as well. Those involved in this project in addition to Conoco include: MacGillivray-Freeman, the major producer of IMAX films and the producer of "To Fly" and "Flyers" sponsored by Conoco; Panavision, designer and supplying specialized printer optics; and Metrocolor Lab (formerly MGM), supplying laboratory services. Arena Production - A traveling arena extravaganza featuring FuturVision 360 along with lasers, projection television, and moving mechanical models is in the final stages of pre-production. This project is being undertaken by a major arena owner/operator. FuturVision 360 was selected for the large screen motion picture portion of the project in that it represents the only compatible, large screen exhibition system that can be reliably moved from arena to arena. Corporate Sponsored Film -A proposal for a corporate sponsored film featuring a tour through America's national park system was completed and budgeted as an IMAX production. Due to the cost effectiveness of the FuturVision 360 system, it was re-budgeted in the FuturVision 360 format and is now being presented to corporations to secure the necessary corporate financial support. Theaters -Loews Theaters with whom the company has an exhibition agreement (outlined in the Business Plan) opened their new 8-plex in Secacus, New Jersey in December 1986 with their large 70mm auditorium configured for FuturVision 360 making it the first new theater complex to be so equipped. The Company in cooperation with Loews is now in the process of installing the system in the Loews "Tower East" theater in Manhatten, the theater used by Loews for their major screenings. In addition, the company is in advanced stages of discussion aimed toward adding a second theater chain to the FuturVision 360 "Showcase" network. This chain is located in the mid-west and specializes in providing a "showcase" atmosphere and product. Due to the compatibility between their goals and the Company's goals they requested being a part of the network. Audio - Sound has long been considered the forgotten "stepchild" of motion pictures. As detailed in the Business Plan the Company's objective was to provide discreet multiple channel sound competitive in quality to that of the compact audio disk. This was achieved initially with a "double system" audio configuration where the audio is stored on a tape separate from and slaved to the film through the use of a synchronizer (Business Plan Fig. 5). Although completely automated, this represents a change from the normal theater operation. At the time the Business Plan was being completed work was in progress to develop a single system alternative for the feature film theater. The goal was to maintain the double system quality while placing six channels of audio directly on the film's magnetic stripes. The viability of this concept has now been proven and work is underway with the DBX Corporation, a major company in the audio processing field, to finalize an audio processor for this configuration proprietary to FuturVision 360. For conventional 70mm films the sound is now carried on the magnetic stripes. Therefore, the development of the single system capability represents the achievement of the final goal in the Company's objective of maintaining total compatibility with today's motion picture theater operating practices while at the same time delivering a dramatic improvement in the theater-going experience. In a letter to the Company, dated February 13, 1987, DBX states, ". . . In fact, I expect that the dynamic range of the complete system (70 mm mag striped film, plus dbx proprietary companding) will exceed that of the best digital audio systems available today.". A significant added benefit to the Company is that while the revenue as projected in the Business Plan does not change with the single system alternative, the "bottom line" will be improved in that the cost is reduced from $45 thousand for a double system package to approximately $3 thousand for the single system package. Frame Rate/Screen Brightness Conversion - There are a variety of simple and inexpensive ways to change the speed of the projector from today's standard of 24 frames per second to the FuturVision 360 rate of 30 frames per second. Likewise, it is simple to change the lamp voltage to go from today's relatively dark picture to the bright, highly saturated FuturVision 360 picture made possible by the reduction in flicker when projecting at the 30 frame-per-second rate. However, for optimum convenience to the projectionist and speed of changing between the conventional set-up and the FuturVision 360 set-up, the Company's goal was to accomplish both the speed change and the screen brightness change with the "flip" of a single switch. This goal has now been achieved and the Company will soon be installing the first production model at the Loews Tower East Theater. IMAX PROPOSAL - The Company has been in discussion with IMAX management for several months regarding the possibility of a cooperative effort between the two companies. The essence of this proposed arrangement (a portion of which is attached to this addendum) would be that IMAX would continue to serve the "1st tier" special venue markets and would cooperate with FuturCinema Systems, Inc in the opening of the "2nd tier" markets with product transferred from the IMAX format to the FuturVision 360 format. This will serve IMAX by both enticing corporate sponsors to produce special venue films and as well as allowing them to participate in filling the demand for product in those markets not able to justify the expense of an IMAX system. This vacuum for product in the "2nd tier" market, created largely by IMAX, is now being filled by IMAX competitors. *American Cinematographer - including Panavision's first announcement of their new 65mm camera. * Panavision - Announcing Panavision's development of camera optics for the FuturVision 360 System. 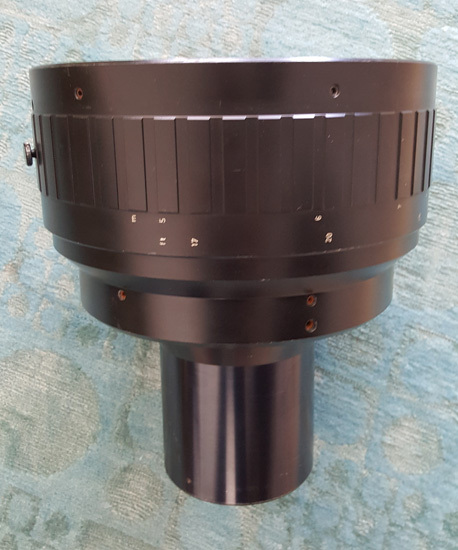 * Optical Radiation Corporation (ORC)- Announcing ORC's development of the FuturVision 360 proprietary projection optics and the development of the combined 24fps/30fps projection speed and lamp intensity conversion switch. * FuturVison 360 installation at the Loews Tower East Theater. * A second theater chain to join Loews in the creation of the FuturVision 360 "Showcase" Circuit. Industry interest continues to grow in the use of large format motion pictures and 30 frame-per-second production/exhibition frame rate to enhance the quality of motion pictures (see the New York Post and The Hollywood Reporter articles attached). This industry interest along with the modern camera and camera optics technology being developed by Panavision should significantly enhance the industry's perception of FuturVision 360 which incorporates those tools, adds additional technology of its own and creates a dramatic increase in the theater-going experience. 1. 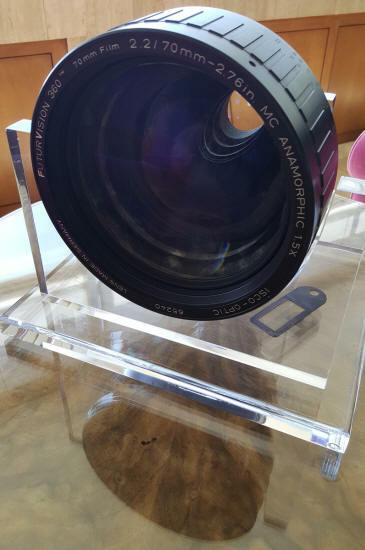 The anamorphic lenses to be produced for FuturCinema Systems by Panavision will be held proprietary for FuturCinema Systems. 2. 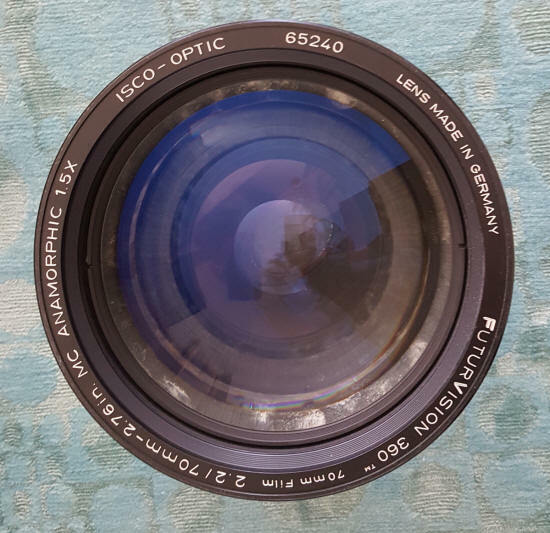 These lenses will carry the identification "FuturVision 360" in addition to normal Panavision nomenclature. 3. 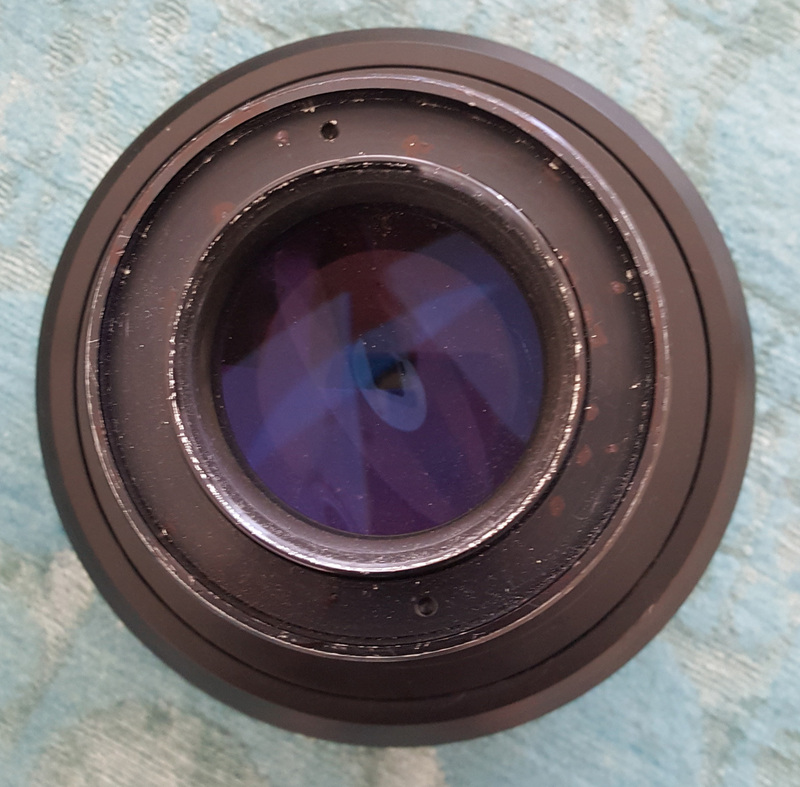 Panavision would not charge more rental to FuturVision for these lenses than they do for their conventional anamorphic lenses. The final rental price to the producer can be established by FuturVision and the difference between the two can be considered "commission." Subsequent sets of lenses would not be more expensive to FuturCinema Systems. 4. Panavision acknowledges that FuturCinema Systems would like a working relationship of further development of optics and optical systems. Such projects could be discussed on a project by project basis. 5. FuturCinema Systems would have the right of first refusal on rental of a camera on or around July, 1987. Takuo "Tak" Miyagishima will be available should you have any questions while I'm away in Europe, or if you need to reach me, my assistant, Peggy Cook, will know where to contact me. Thanks for your time on the telephone today. Following is a brief summary of the situation to date. We have tested the frequency response and dynamic range available from 30 FPS 70 mm film set up for a 6-channel magnetic audio stripe. The high-frequency response is excellent, especially with the Teccon heads we tested. Low-frequency response is not as good, partly due to the high film speed and partly due to the inherrent losses in analog magnetic recording. As you are already aware, dynamic range is only fair, but it is more than adequate to allow dbx's wideband-compander noise-reduction systems to work very well. 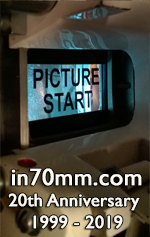 We have made a test recording on 30 FPS 70 mm striped film using one of our standard dbx systems. As you have heard yourself, the audible results were extremely encouraging. At the same time, they underscored the need for modification of our standard compander designs to suit the requirements of your cinema process. What we must do, in effect, is create a proprietary dbx process for Futurecinema to suit the conditions on the analog magnetic audio track available. I am confident that we will obtain results from the completed system comparable to those from digital-audio sources. In fact, I expect that the dynamic range of the complete system (70 mm mag striped film, plus dbx proprietary companding) will exceed that of the best digital audio systems available today. As you are aware, I envision that dbx will design and provide a custom system package including magnetic-head preamplification and noise reduction, housed in a modular rack package similar to our 900-series signal-processor rack. Before dbx can undertake a project to design such a system as a product, we must have some assurances regarding the quantity and timing of Futurcinema's expected purchases. This would preferably take the form of an NRE charge to cover the costs of designing the system, and a contract specifying a minimum number of systems to be purchased over a specified length of time. I will estimate the engineering resources required to design the system and provide you with an estimate of the NRE charges that would therefore be involved. Since I will be traveling for the next two weeks, I should be able to let you know these figures in early March. After that time, we should be back in touch to discuss the situation as it has evolved til then. Good luck in moving this project forward while I am away.